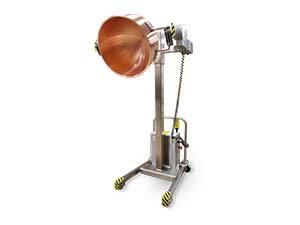 Savage Bros. manufactures a range of bowl lifts called a LifTILTruk™ to make pouring a mixing bowl or other container a safe and easy operation for one person. Special configurations of our stainless steel chocolate tanks are perfect for melting and storing bakery icings and fondants as well as working with chocolate. The Savage LifTILTruk™ Bowl Lift is a must-have for virtually any size bakery. With a range of models for mobile or fixed lifting of various shaped containers at various pouring heights, the LifTILTruk permits one person to SAFELY move, lift and pour into your hopper or onto your table. 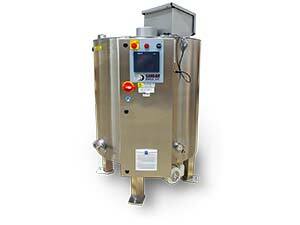 Savage all stainless steel bakery melting tanks are designed to melt and store icings, fondants and chocolate. Add a transfer pump to move the product to your depositor or decorator. A range of sizes from table-top to 2,000LB/900KG melted capacity, all under digital temperature control.